Just got a 2019 570 a few weeks ago, haven’t got much seat time yet but I’m loving it! I’m not new to riding but new to Polaris. 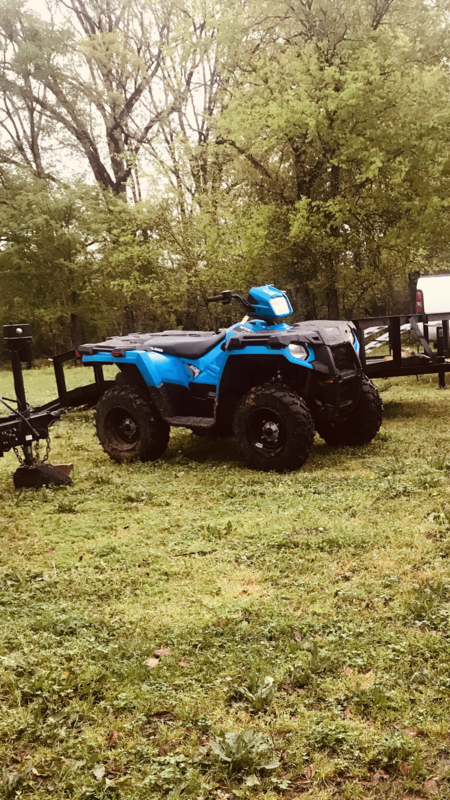 I’ve had a few 4wheeler’s over the years, including a Yamaha kodiak 450 and later a Honda rancher 420. That's a nice color, congrats on the new ATV! Thanks! My girl friend loves the color too. I’m gonna try to get it out of the garage Tuesday and find some good riding places. great choice! those 570s put out almost as much hp as the kodiak and griz 700s. I just got a left over 2018 570 sp a couple weeks ago. Can't wait to take it out. What are your honest thoughts on Polaris sportsman's? More specifically the 570. Is there anything to look out for? I purchased one a few weeks ago and was wondering what other people thought. This is the factory service manual for the 2005 predator 50cc and 90cc, Sportsman 90cc. Download all the chapters for the complete manual or just the sections you need.